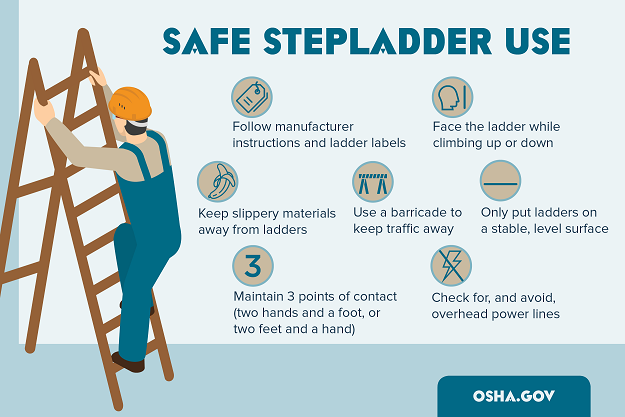 March is National Ladder Safety Month and according to OSHA, some 300 people die each from falls involving ladders. Of those 300 annual deaths, many occur while on the job, often the result of lack of or improper safety training. A recent U.S. Department of Labor (US DOL) blog post described the deaths of 3 employees including that of a cable installer in Texas who fell 13-feet to his death. According to the blog, the cable installer and a coworker were applying waterproofing product on overhanging electrical cables and hadn’t noticed that the slippery, waterproofing silicone-based product had spilled onto the ladder. As he began to descend from the ladder, the worker slipped falling headfirst to the concrete below. The US DOL is holding a symposium on March 2, 2017, to help address ladder safety to help provide some tips and guidelines for employers. The symposium aims to emphasize the importance of learning OSHA’s ladder regulations and the importance of providing proper training for all employees. We, like OSHA, believe that many of these 300 ladder-related deaths per year can be prevented. 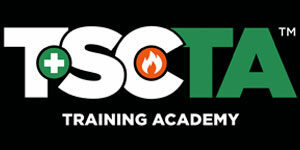 At TSC Training Academy, we offer the various training programs to keep you and your team informed and safely working.